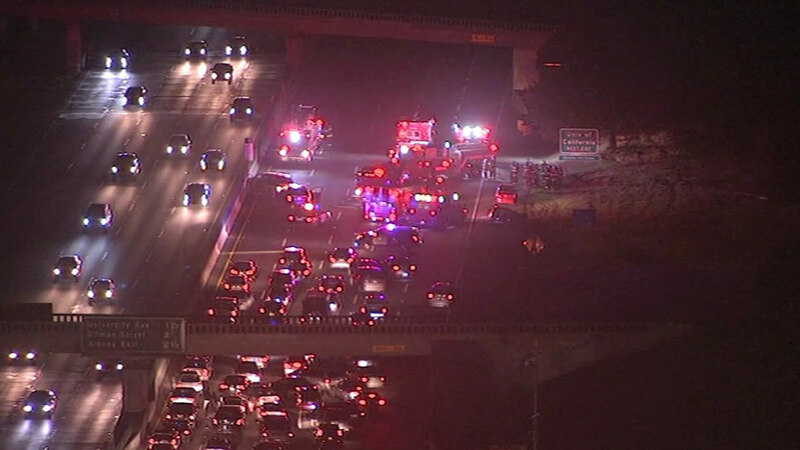 BERKELEY, Calif. (KGO) -- Crews responded to a crash involving at least two vehicles on Interstate Highway 80 in Berkeley on Saturday night. California Highway Patrol Officer William Ogilvie said an elderly woman was reportedly suffering injuries of an unknown severity due to the multiple-vehicle crash, which was reported at 10:16 p.m. The crash occurred on the eastbound lanes of Highway 80 near Ashby Avenue, Ogilvie said. Fire and medical crews responded to the scene. As many as six cars were reportedly involved. All lanes were reopened just after 11:15 p.m.